Press secretary Sarah Sanders says President Donald Trump wants to explore the twice-rejected proposal of sending migrants only to 'sanctuary cities,' but it is not his preferred solution to fix the straining immigration system. 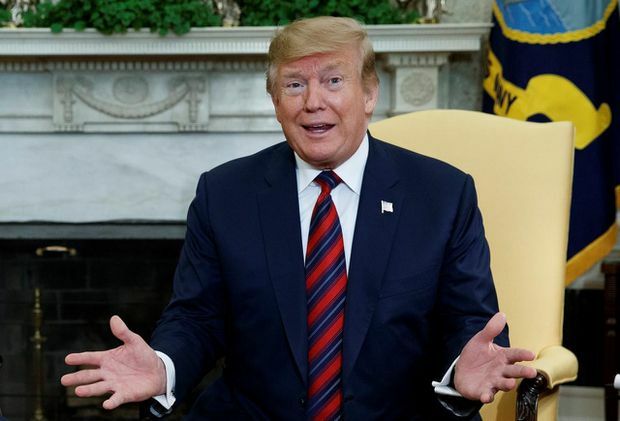 U.S. President Donald Trump wants to explore a twice-rejected proposal to send migrants to “sanctuary cities,” but that is not the preferred solution to fix the straining immigration system, the White House said Sunday. Press secretary Sarah Sanders said it was one of many options, although she hoped Congress would work with the President on a comprehensive immigration overhaul. Laws make it hard to quickly return Central Americans, and many of them spend years in the United States waiting for their immigration cases to play out. Others claim asylum and wait just as long, living and working in the United States as they wait. “Sanctuary cities” are mostly left-leaning places such as New York City and San Francisco where laws prohibit local police and correction officers from working with immigration officials to help arrest and deport people living here illegally. Mr. Trump seized on reports last week of the proposal that sought to send migrants already detained to Democratic locations or transport migrants that have just crossed the U.S.-Mexico border to sanctuary cities. It actually could make it more difficult for Immigration and Customs Enforcement (ICE) officers to arrest people facing deportation because sanctuary cities do not work with ICE. The Transactional Records Access Clearinghouse at Syracuse University announced last week that an analysis found that immigrants in sanctuary cities are 20 per cent less likely to be arrested out in the community than in cities without such policies. The chairman of the House Homeland Security Committee, Representative Bennie Thompson of Mississippi, questioned the legality of the proposal. “This is again his manufactured chaos that he’s created over the last two years on the border,” Mr. Thompson said of Mr. Trump, adding Democrats were more than willing to sit down and talk about immigration legislation. But Senator Rick Scott of Florida said sanctuary cities showed contempt for the law, although he didn’t know whether there were any legal concerns with transporting migrants to the locales. “I mean, maybe he’s just saying this to make everybody crazy,” he said of Mr. Trump. Ms. Sanders appears on ABC’s This Week and Fox News Sunday. Mr. Scott was on CNN’s State of the Union and Mr. Inslee was on NBC’s Meet the Press. Mr. Thompson appeared on ABC.